After 3 years in development, Fossil Echo is finally out in the wild, and you can buy and play it today! $15 nets you the Standard Edition, while $20 lands a Special Edition, which includes a 25-track soundtrack (with 2 bonus tracks! ), a big PDF “Making Of” artbook, wallpapers, avatars, and more! In addition, the Soundtrack is out on Bandcamp and Loudr! Materia: Final Fantasy VII Remixed, Last days of For the King Kickstarter, and more! A few months ago, when the HD version of Final Fantasy VII was announced, a good friend of mine, Sebastian Wolff, got the idea to reach out to his contacts in the game audio world and see who would be interested in forming a group to reimagine Nobuo Uematsu’s iconic score in a remix album. The enthusiasm was immediate. Those people reached out to other people, and soon a team of over 200 musicians, arrangers, remixers, and composers joined together in a spirit of collaboration and creativity to become the Materia Collective. Friday, we launched our first album: Final Fantasy VII Remixed. As for my contribution, I had the privilege of working with the amazing violinist Michaela Nachtigall and the excellent percussionist Joel Everett to bring my contribution to the project to life: a remix of a rather quirky and laid-back track, “It’s Difficult to Stand on Both Feet”. I reworked it for trumpet (my own instrument of choice), violin, and orchestra, placing it in a more scherzo-like frenetic mode, and writing elaborate florid cadenzas for both soloists, while allowing for a variety of virtuosic moments. I couldn’t have done it my fantastic collaborators (thank you so much, both of you! ), and I hope you have as much fun listening to it as I did writing it! Now, to the second order of business! FOR THE KING HAS JUST 3 DAYS REMAINING ON OUR KICKSTARTER!!! We’ve had a fantastic run so far, making our initial goal as well as a healthy number of stretch goals, but we still have a bit more to go to get to our $125k goal of a “Above the Clouds” (airships! highland cities! ), and the more distant, but equally-awesome Backers’ Select tier, at $155k. I’d like to thank everyone who’s pledged to the campaign already, you’re all fantastic people, and thanks to you, For the King is happening. I only ask that you help to spread the word in these final days; the more funding we get, the more expansive and polished a game we can make. Thank you again, for everything. You’re wonderful. Gunpoint, a 2D game about Rewiring things and Tricking People – Released!!! Hello all, your friendly, neighborhood composer here! 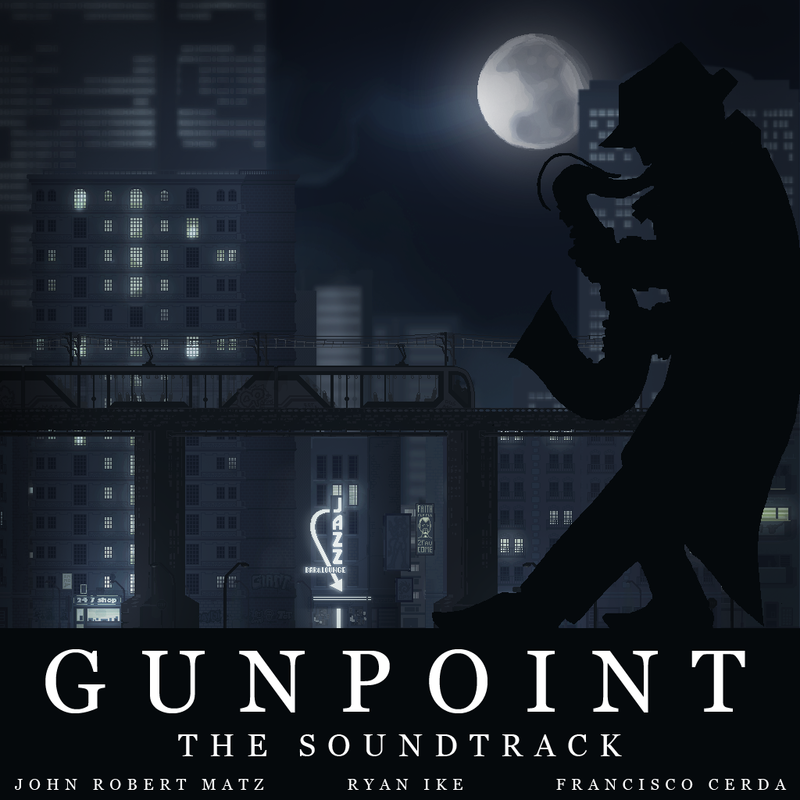 Just wanted to take a quick moment and mention that Gunpoint, a ridiculously brilliant game by Tom Francis (www.pentadact.com), and a game I contributed to the music on (along with the outstanding Ryan Ike – www.ryanike.com and Francisco Cerda – www.franciscocerda.com), is out, and the reviews are fantastic! Check it out at www.gunpointgame.com! More News – The official Soundtrack has been released! It’s only $5, and contains EVERY track in the game, as well as a ton of bonus material, unused tracks, and special remixes and extra music written for the album. It’s a whopping 41 tracks long, and well over an hour of fantastic music!